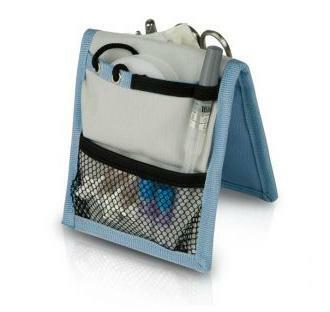 The new Nursing Organizer is the complement that cannot be missed in your personal outfit. It is convertible! As part of the uniform it is designed to be carried in the pocket of the nursing pyjama, and can independently be used as a desk organizer. 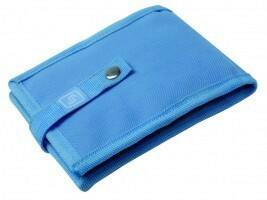 It furthermore includes a compartment for the scissors, which you will never again lose due to its retractable system. This system will allow you to carry them always with you. You may now use the surgical tape as an automatic dispenser thanks to its new hold-firm system, avoiding it to be extracted completely from the organizer. 1 pocket for the surgical tape with dispenser. 3 flat pockets for diverse material. 1 retractable holding system for the scissors.